Discussion in 'Google Chromecast' started by sparkyscott21, Dec 10, 2013. 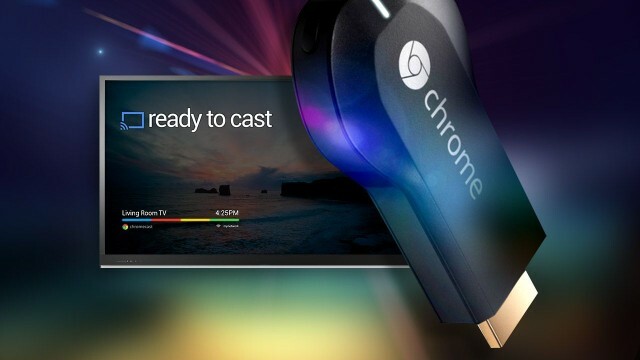 Google has today announced that an additional ten applications for Android and iOS now support Chromecast streaming. VEVO, Red Bull.TV, Songza, and more have been updated to allow users to enjoy news, sports, and music on their $35 dongle. Apps like Plex and RealPlayer Cloud have also been updated to support the Chromecast, giving users the option to stream local content to their device for the first time. So you can now send pictures, music, movies, podcasts, audiobooks, and more to your TV from your smartphone or tablet. Whats more, with an app like Avia, you can also stream content you have stored in Dropbox, Picasa, and other online cloud-based storage services. Theres no need to huddle around small screens when you can share your own photos and videos using your phone, tablet, or laptop, Google says. To start using Chromecast with these apps, simply ensure you have the latest versions installed on your Android and iOS devices. The updates will be rolling out over the next few days, Google says, so those without support today should see it before the end of the week.